The Van Uytsel family started a garden centre in 1976. 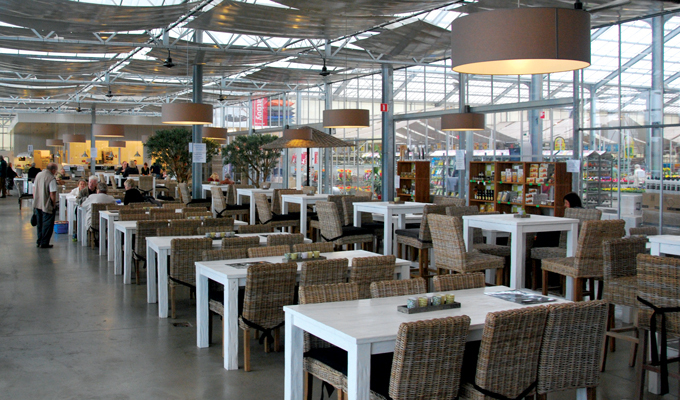 Meanwhile, the figures of the Van Uytsel Garden Centre appeal to the imagination: 70 employees, 14.000 sqm indoor shop floor and over 500 parking places. The managers rely daily on the SDP Robinson garden-IT software to organise their impressive garden centre. Ben Van Uytsel, assistant buyer and frequent user of SDP Robinson garden-IT, explains why he is satisfied with the software: "The main advantage of the system is its user-friendliness. Especially during the high season, we resort to temporary employees. These are often students working at the check-out point. The cash register displays immediately feel familiar and they quickly master the software. Working with touch-screens seems to be an advantage in this matter." "The software is even more interesting, since our cafeteria is also managed with SDP Robinson garden-IT. There is no need to buy and learn different IT systems. We are running the same software at the check-out point as well as in the cafeteria." Co-founder and business manager Jan Van Uytsel continues: "Compared with the previous system, scanning is a lot faster and smoother. The fast scanning minimises waiting periods and is an advantage that should not be underestimated. Our customers also appreciate it." When the new system was implemented, it first felt a bit awkward. Both Jan and Ben Van Uytsel state: "The first step is always the hardest. One loses familiarity, which always feels a bit uncomfortable. This goes for everything. After a while, the software exceeded our expectations. So we are very happy with the system we have now." Especially the service provided by SDP score points. 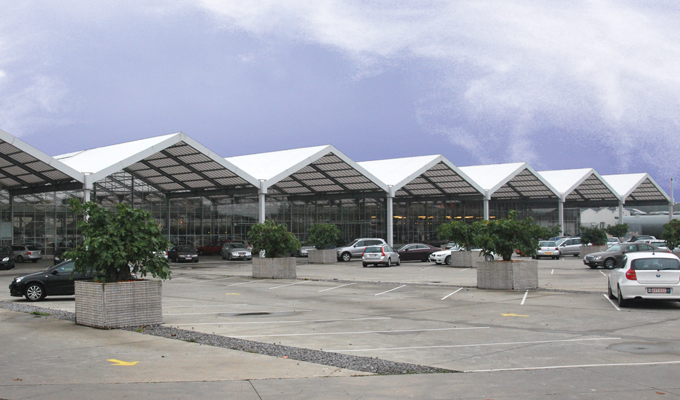 "Depending on the situation, we are assisted by helpdesk consultants, or technicians come to our garden centre. In both cases, we get to deal with experts. Moreover, the interventions are extremely quick. In a garden centre with 15 cash registers, one cannot afford to have a system failure. These cash registers have the advantage of also functioning offline. This means that the cash registers can still be used for sales procedures when the connection with the server has been broken. But especially at peak hours on Saturdays, we need help quickly. As we said before, this is where SDP scores points." The implementation of the new labelling method is a practical solution for missing shelf labels. This is because customers often take labels off the shelves in their unawareness. After a while, many articles are unpriced. This problem caused quite a waste of time for our employees and irritation for other customers. The solution is as simple as it is effective. Employees scan the unlabeled articles using the Skorpio handheld scanner. The labels are printed in the same order as they were scanned. Afterwards, employees follows the reverse order in order to attach the labels to the shelves and to correct the pricing. The stock module in SDP Robinson garden-IT will be used more intensely in the near future. Yet, in a way, that is logical and feasible for a garden centre. Jan Van Uytsel states: "Our stock management differs from DIY stores. When their stock of hammers is running out, they need to order new ones on time. But in garden centres, we work with seasonal articles. Stock management is especially necessary for more expensive articles. For example, to observe the stock of garden furniture. But the effort required to manage the entire stock, from African violets and cactuses up to decoration articles, would be too much. This is one of the strengths of SDP Robinson garden-IT. You only use the functions you need in the way that best fits your store."